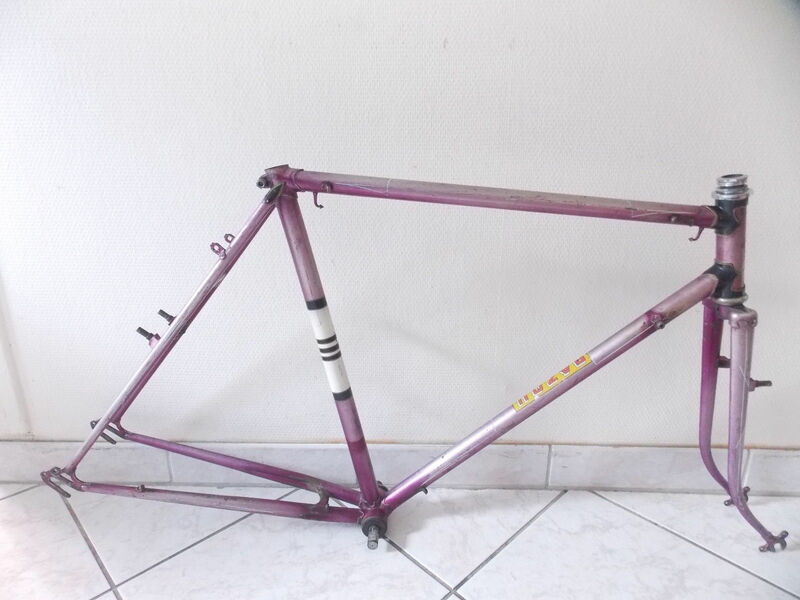 I wanted a pre-70s project so I picked up this frame for 50 euros on ebay.fr. 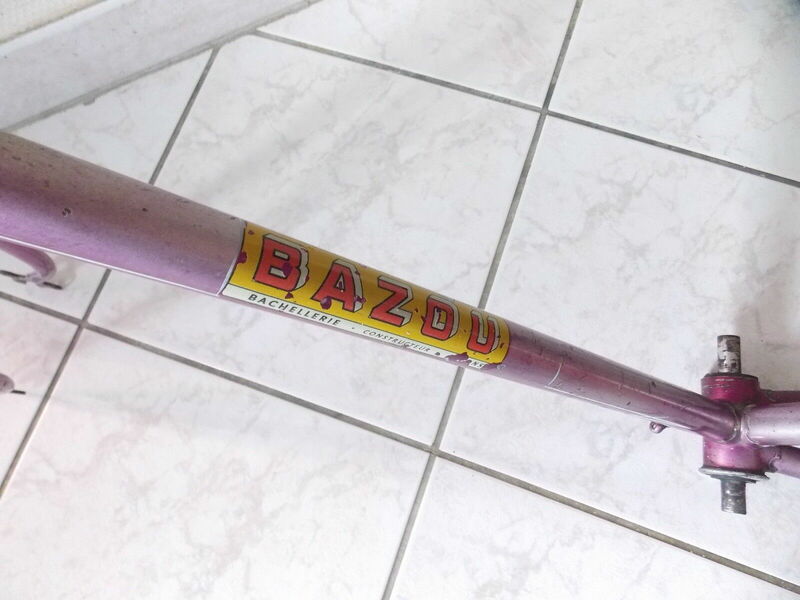 The internet isn't telling me much about Bazou. 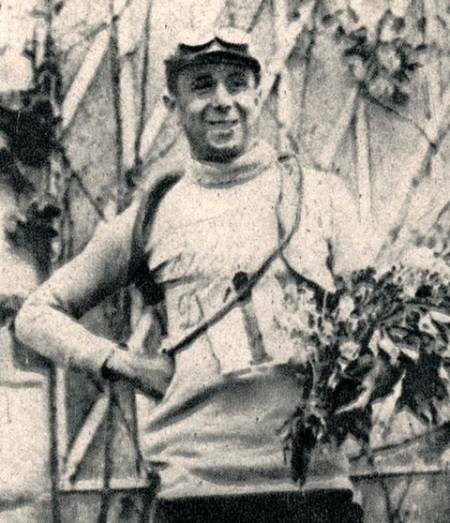 From what I can tell Pierre Bachellerie was a former racer who owned a bike shop in Lyon, and this was the shop brand. 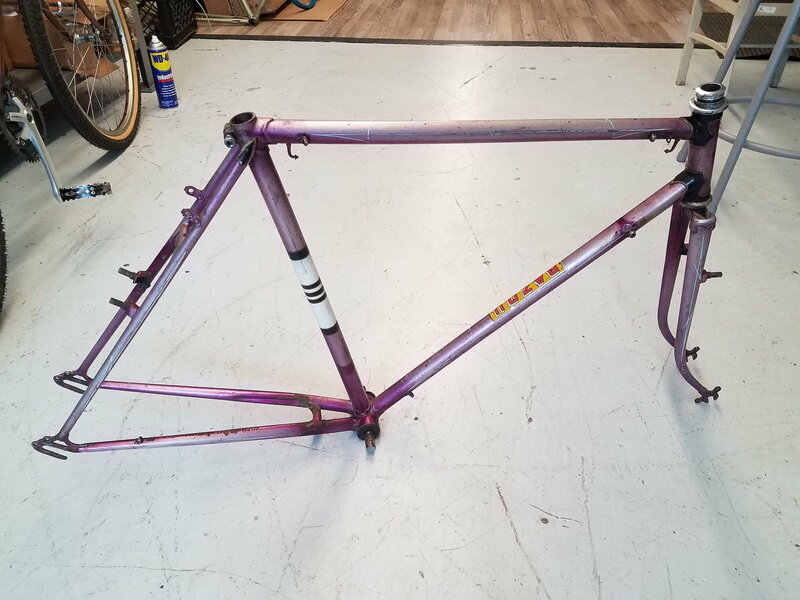 No info from the seller. Yes, it is certainly a contract build. Have seen this paint scheme previously. It is from one of the "big five" producers. Curved chainstay bridge a clue. It is the open type. Both open and closed were produced with an option of a flange on the closed models. Is seat stay bridge curved as well? You mention "50's-'60's"; it is definitely '60's rather than '50's. Lug pattern looks to be BOCAMA 30-series. Would need to see view from front for a specific model. May be something like 30/I. 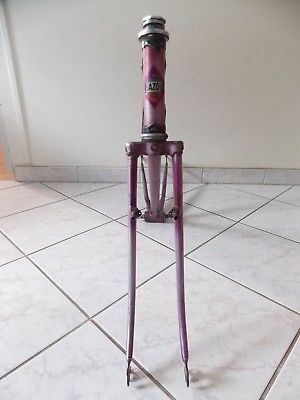 Pump pegs are NERVEX Nr. 845. Tubeset will be metric dimension. Steerer and shell thread will be metric. Ex-works spacing would have been 96mm front and 120mm rear. Pillar size likely 25.4mm...or if you are fortunate 25.8mm. 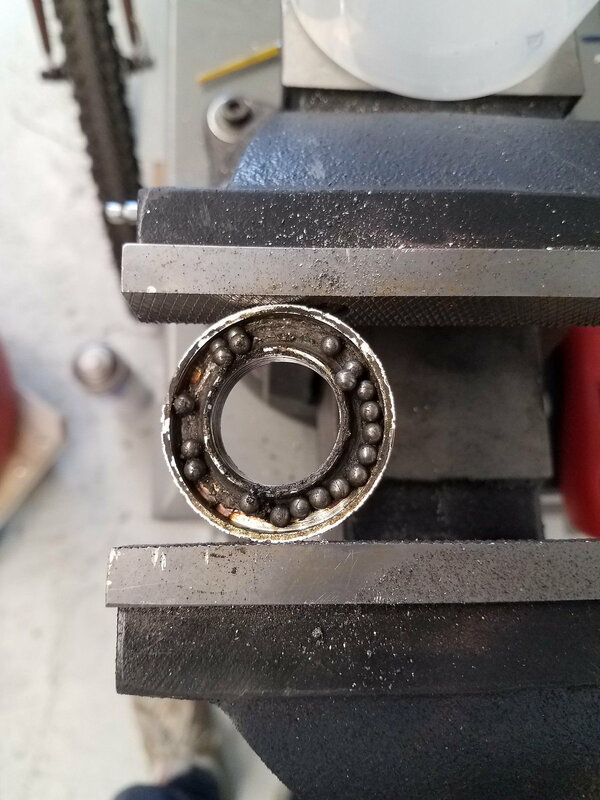 The black oxide bottom bracket set looks to be REWAX MD. You may find this marking on spindle ends. Seat binder appears ALGI or possibly EJAC (Etablissements Jeunehomme). 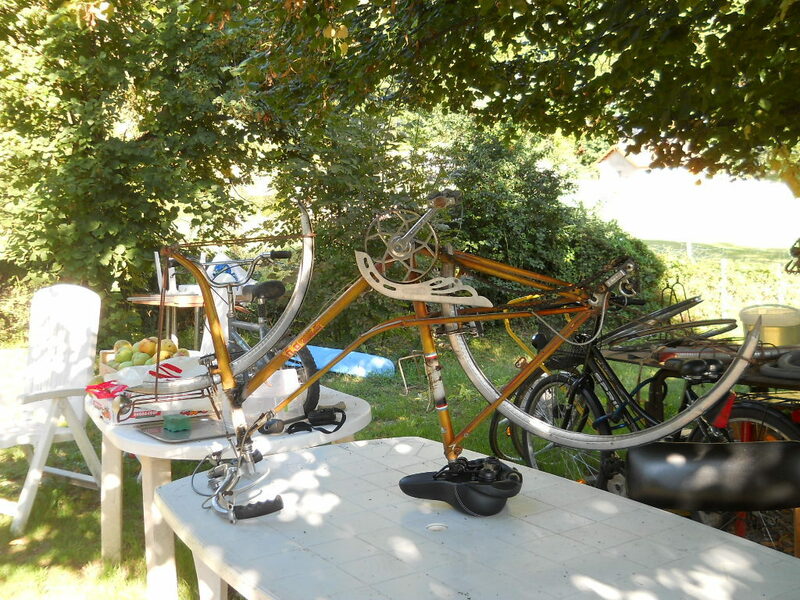 Currently leaning toward a Mercier heritage. @juvela More pictures from seller. I think that is a really neat project, look forward to seeing what you do with it! Received the frameset today. Everything is straight and in good shape besides some paint nicks here and there. 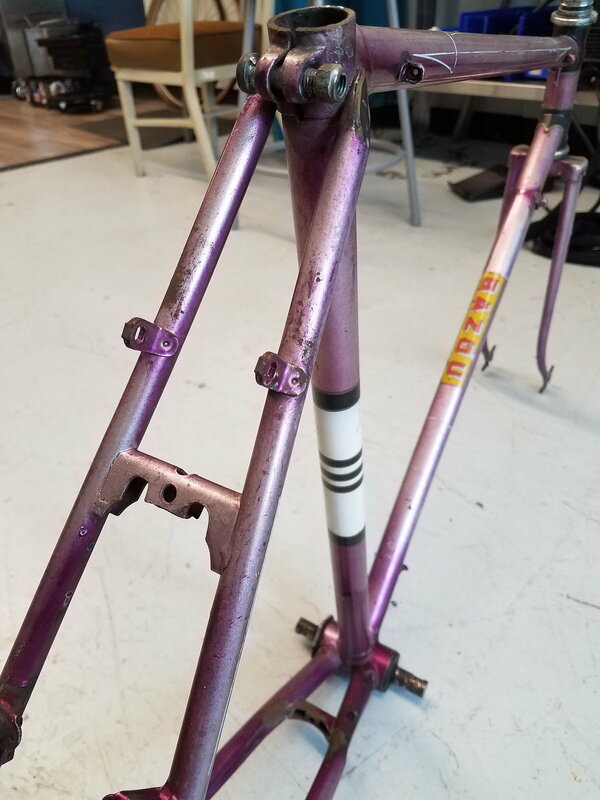 123mm rear dropout spacing, 92 front spacing. 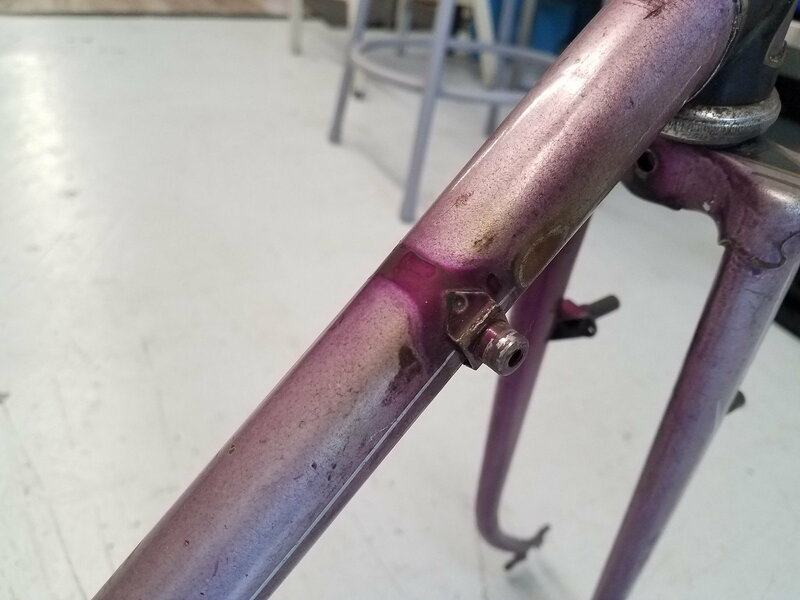 Brazed on shift boss for a rear derailleur EDIT: looks like a normal Huret boss with French threads. Headset is dirty but in great shape. No markings on steerer once fork was pulled. 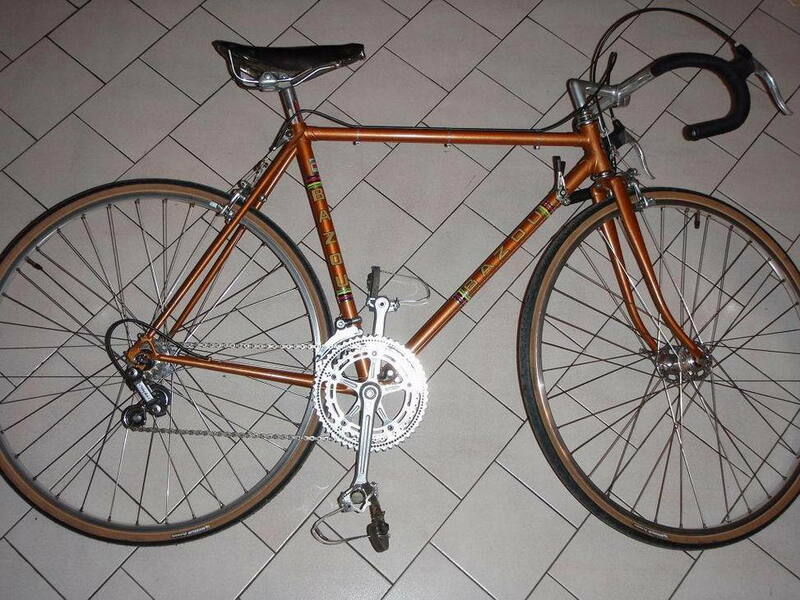 The frame isn't featherlight but no slouch either. Last edited by TenGrainBread; 04-15-19 at 06:56 PM. Thank you for the additional imagery and information. The biggest clue for me as to actual manufacturer is the specific pattern of black and white bands on the seat tube. Have seen it previously but am "fuzzy" as to the marque. 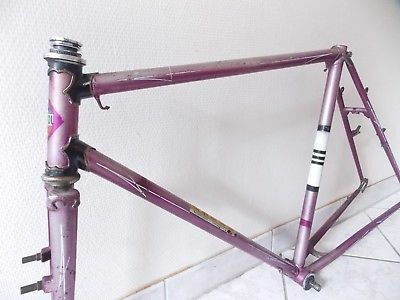 Want to say it is one of those belonging to Mercier but am unsure. 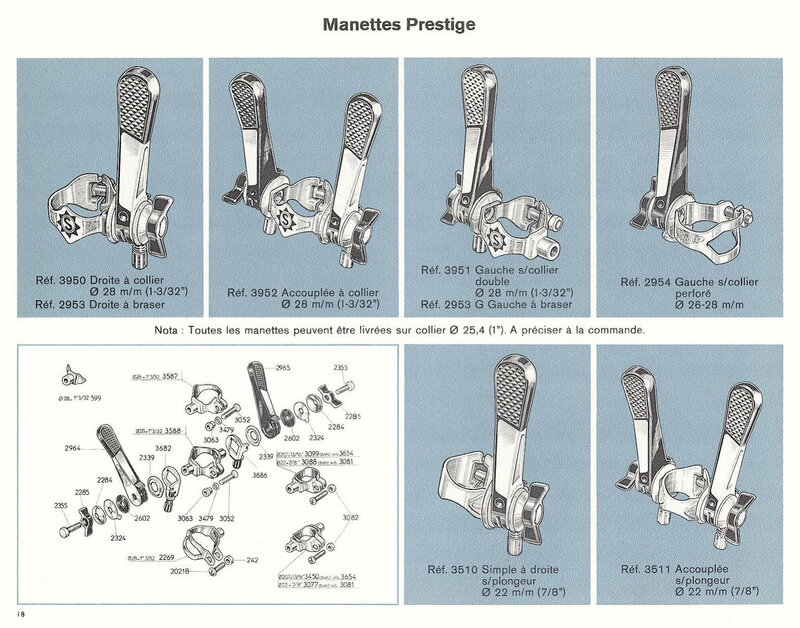 One avenue for exploration you may wish to pursue would be to look at as many different mid-1960's French machines as you can find to see if you can locate another with these bands. 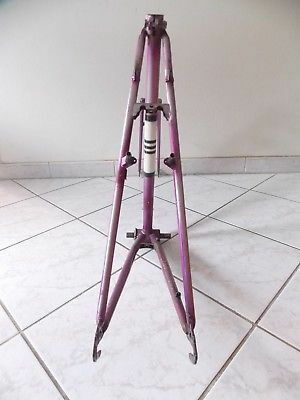 Have not before seen this most distinctive seatstay bridge. NERVEX had a series which were somewhat similar but not matches. have not encountered one without threads. 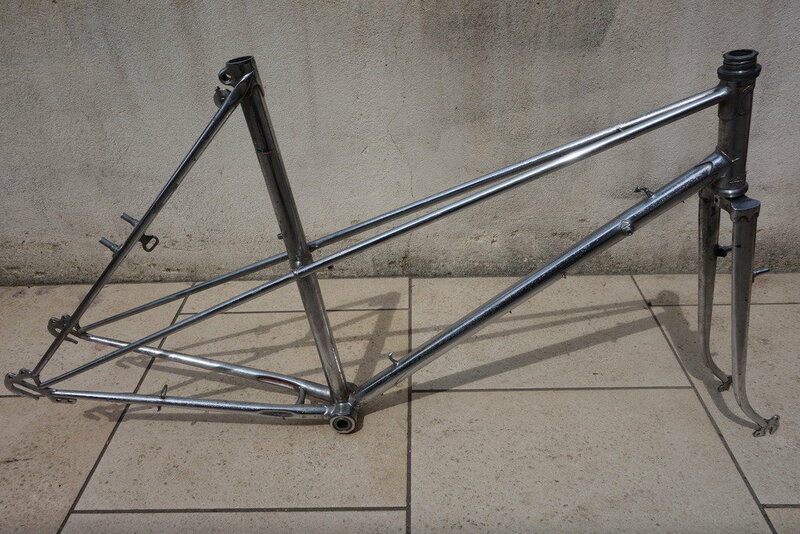 frame has housing stop at south end of downtube for a cable operated front mech. 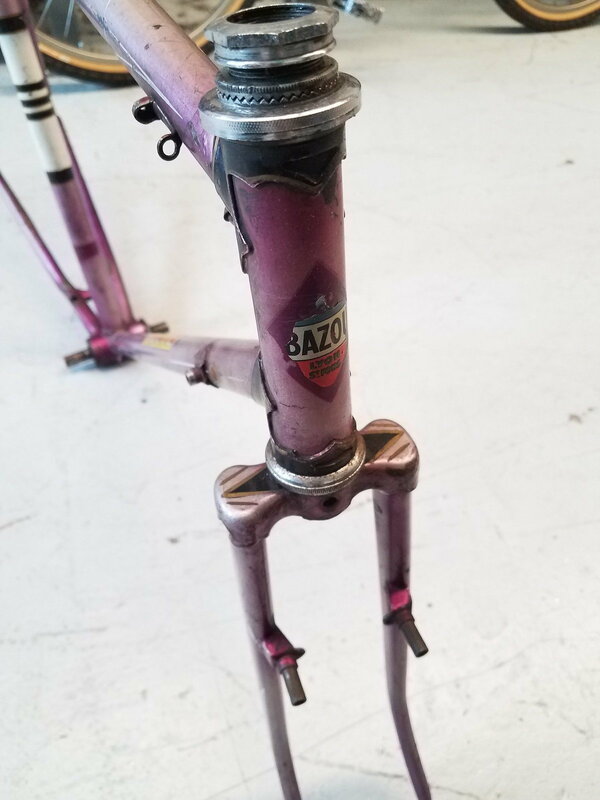 this tells us shift lever arrangement would have been one of those which is clamp-on for the front mech control paired with braze-on for the rear mech control. 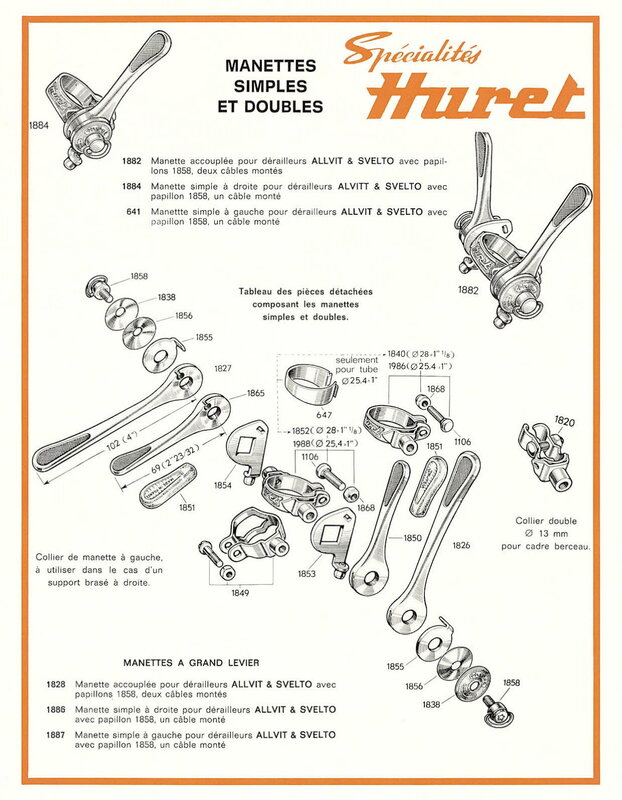 both Juy and Freres Huret made shift lever sets of this pattern. Sorry have not been able to be of greater assistance with your fascinating puzzle! The shifter boss is threaded, just not with M5x0.8. I suspect M5X1.0. 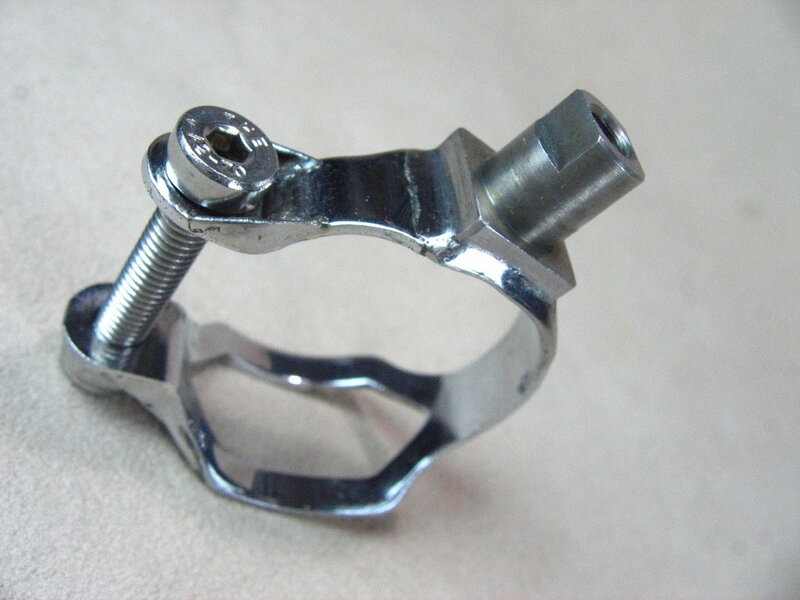 Does the one-sided clamp you are referring to go over the braze-on? Or is it above or below it. 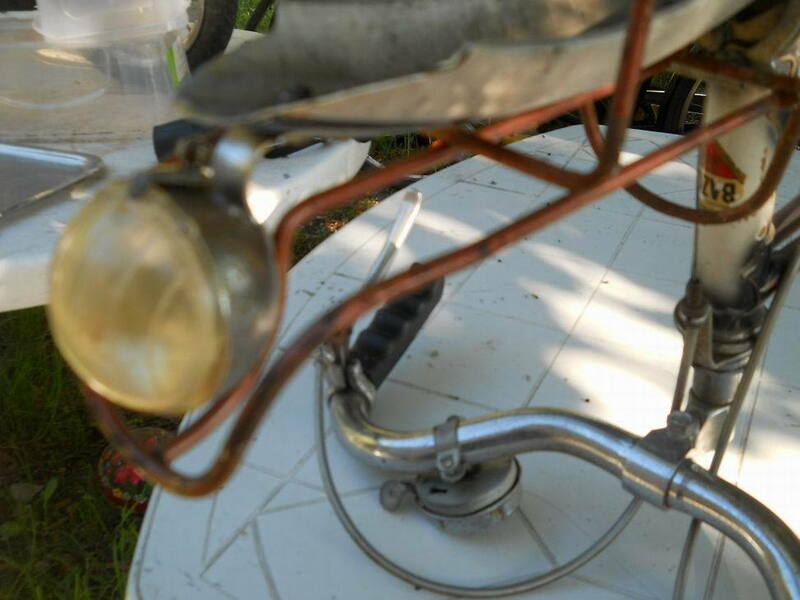 The paint around the braze-on seem to indicate it goes over it. I left facebook a while ago but I'll think about joining the group to see of there are any Bazou experts there. Thank you for the clarification on the shift lever boss - had misunderstood. Here are examples of the Juy and Freres Huret designs mentioned above. In this arrangement the boss does double duty as it also serves as a no-slide. 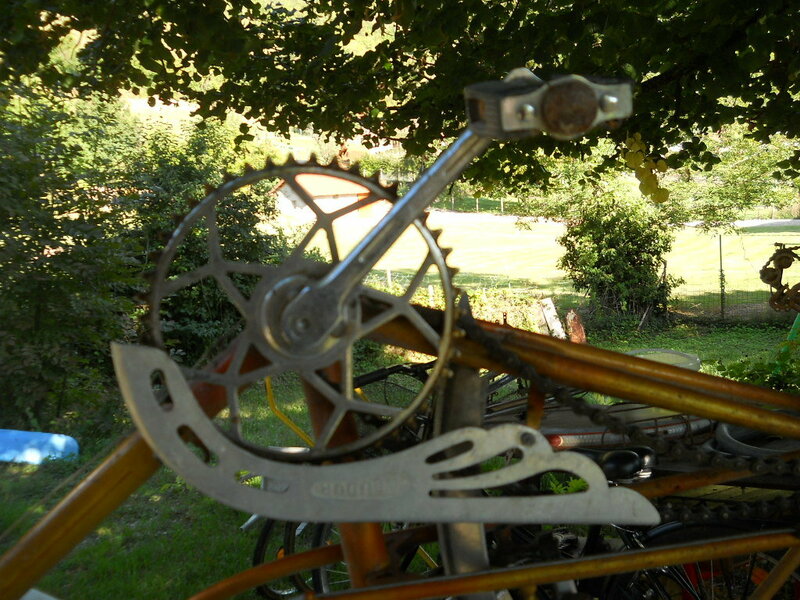 This shift lever arrangement is commonly found on French cycles. Oh, here is one I found that looks like the correct clamp. 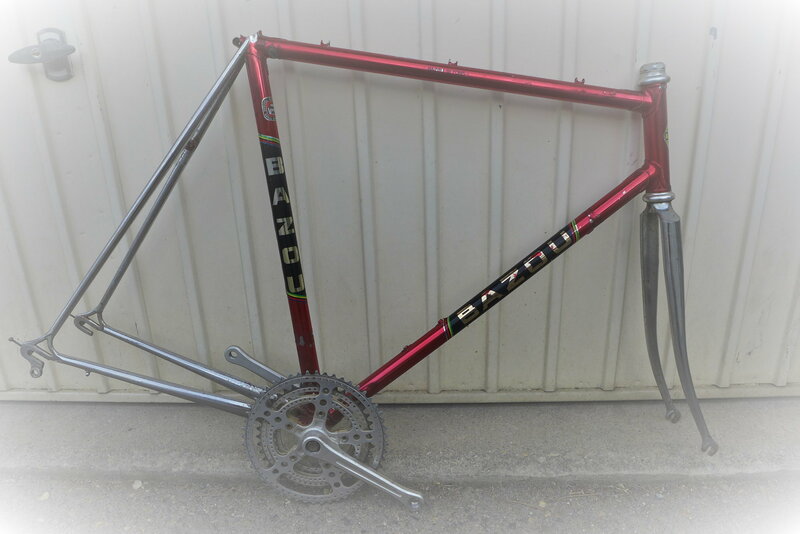 Albeit it with a boss that has flats for Campag style lever. That frame has to hold the record for brazeons.